It’s interesting to think about how many photographers of today may have their stacks of information in digital form in comparison. This may not be as accessible to their ancestors, perhaps destined to vanish into history as a series of 1s and 0s. It will be much harder to understand their thought process vs. something laid out like your father had. In contrast it is a much lighter load in the field as so much information is now at your fingertips. While advance planning will always be a key component for many, so much is available on demand. It would make for an interesting article on how a National Geographic photographer’s planning and process has changed before and after the technological tools of today. Thank you for your insights, Mark. I feel it is also important now that technologies have changed so much, for those of us in the digital age to carefully document and bring older records into digital form and to perpetuate them in both forms if at all possible. As for photography in the field, I always get a chuckle out of people saying they bought a point and shoot or mirrorless camera because they didn’t want to carry their big, heavy DSLR. 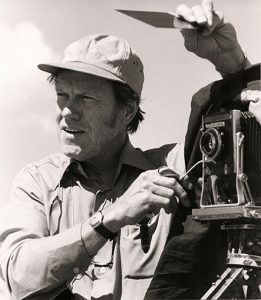 My father stayed fit strong, strapping and youthful in appearance well into his 70s because he insisted on lugging his 4X5 and 5X5 film Deardorff large format view cameras around everywhere, including on backpacks and pack trips dozens of miles and many days into the wilderness. Landscape photography, like any professional skill/talent, appears easy to the non-involved onlooker. Like that violin player on stage – all she/he is doing is “sawing” back and forth so it must be simple. My interest in photography was my father’s influence. Not a professional photographer but a field geologist who made copious notes and collected volumes of information as you describe your father doing. My father always carried a camera, recording what appeared at the time mundane. In perspective, not so mundane. He wasn’t a great photographer but he had an innate ability to capture an image that told a story if you knew the subject. Thank you for sharing a look into Phillip’s process.